That’s what my mom used to say but she didn’t know that Steve Englehart was going to bless us with the heroes known as The Strangers, did she? Those guys are more than okay to talk to — in fact, they might save your life! In the weeks to come, we’re going to be taking a long look at these heroes and discussing what made them the Ultraverse’s # 1 superhero team (well, there was Ultraforce but they didn’t feature Electrocute so they can’t possibly be as awesome, right?). 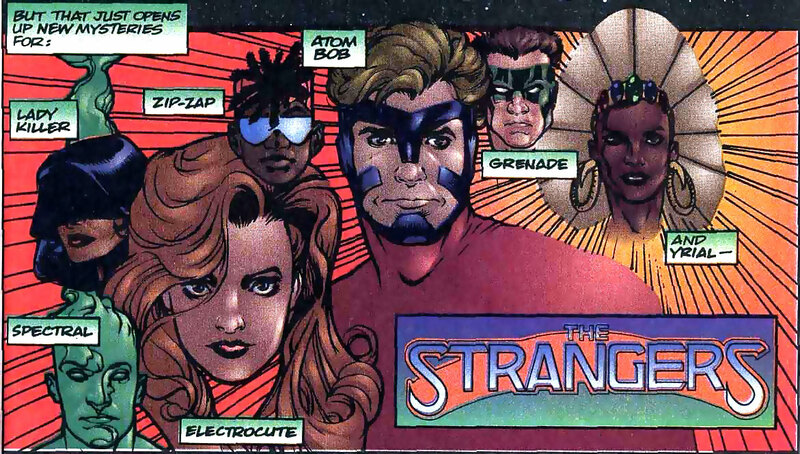 For now, let’s enjoy this image showing the founding members of the team by Adam Hughes from Ultraverse Origins #1!